A diamond grinding bracelet strung from the moss green amber pieces. Lemon amber pieces processed in a special way - partly blackened and angular. 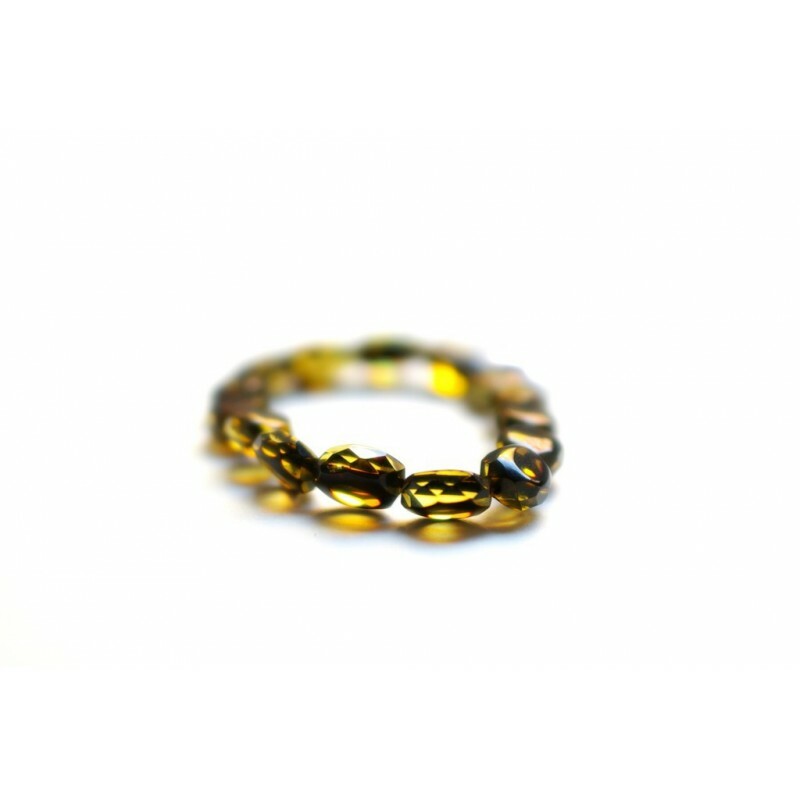 This creates an impression of green sparkling amber.